Mumbai, September 18, 2018: The Indian Hotels Company Limited (IHCL), India’s largest and most iconic hospitality company announced the signing of a new Taj hotel at the Deira Creek in Dubai in partnership with Ithra Dubai LLC, a wholly owned subsidiary of Investment Corporation of Dubai (ICD). The new Taj hotel is a Greenfield project slated to open in early 2022, conveniently positioned 15 minutes from Dubai International Airport. 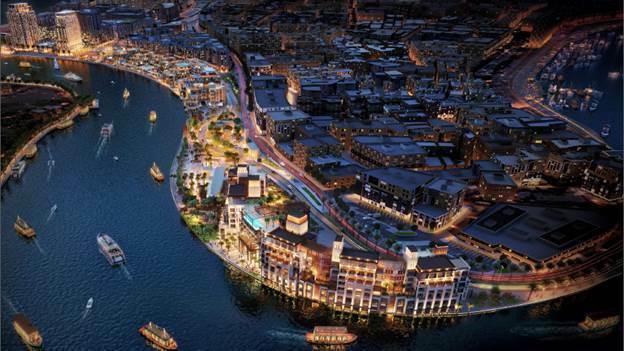 This hotel will be part of Deira Waterfront Development – one of Dubai’s most significant rejuvenation projects. An urban oasis, the hotel will have approximately 200 spacious rooms and suites with a selection of rooms cantilevered over the water, with scenic waterfront views. The hotel will include all-day dining and specialty restaurants, a bar and lounge, banqueting facilities and a spa.